Godfrey Kilenga is a Certified Public Accountant (CPA) (T) with 15 years post qualification experience in professional consulting, auditing, Financial Management and Accounting. He has been involved in several strategy development, restructuring and project management in Tanzania. 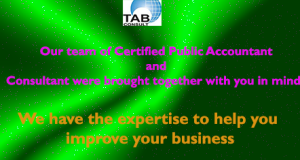 His main areas of expertise are internal auditing, risk management, project management, business process redesign and financial budgeting/ planning. Godfrey has managed and/or supervised numerous projects for Media, Telecommunication and manufacturing companies in Tanzania and recently has been a key resource person in Tanzania Telecommunications Company (TTCL) re-organization and systems redesign. Godfrey was the First President of the Institute of Internal Auditors (IIA) Tanzania and has vast experience in transformation of internal audit functions to be a true value adding activity. Prior to joining TTCL as the Chief Internal Auditor, he worked for PricewaterhouseCoopers in Tanzania, as a manager responsible for handling a large portfolio of audit clients and fund management projects such as DANIDA, UNDP, Tanzania Breweries Group, Amboni Group, Barrick Gold Mines, Aga Khan Development and the Aga Khan Group. Godfrey is a graduate in Marketing and is a registered accountant with the National Board of Accountants and Auditors (NBAA) as Certified Public Accountant in Public Practice, and a member of NBAA’s Technical Committee.